Pruritic urticarial papules and plaques of pregnancy (PUPPP) is one of the most common skin conditions occurring in pregnancy or postpartum period. Clinical symptoms are usually intensely pruritic papules, typically located within striae and stretch marks of the skin. PUPPP shows an intensive etheric body activity which is not completely held of by astral and I-activity. This case report presents a successful treatment of PUPPP with anthroposophic medicine. The concept behind the applied therapy lied in strengthening the astral and I-organizations so that they can penetrate into etheric body, curb its excessive activity and restore it to its proper limits. This has been achieved using medicinal products consisting mainly of calcium processes, along with four main organ preparations and Bryophyllum. Further observation would be desirable to evaluate treatment efficacy in patients and treatment of other conditions presenting similar symptoms. 3 Dehdashti AL, Wikas SM. Pruritic urticarial papules and plaques of pregnancy occurring postpartum. Cutis 2015;95(6):344–347. 4 Bolognia J, Schaffer JV, Cerroni L, et al. Dermatology. 4th ed. Milton, Canada: Elsevier; 2018. 5 Jachens L. Dermatologie. Berlin: Salumed Verlag; 2012. 6 Husemann F, Wolff O. The anthroposophical approach to medicine. Vol I. New York: Anthroposophic Press; 1982. 7 Vogel HH. Finding remedies. Bad Boll: Natur Mensch Medizin Verlag; 2000. 8 Steiner R. Geisteswissenschaftliche Grundlagen zum Gedeihen der Landwirtschaft. GA 327. 8. Aufl. Dornach: Rudolf Steiner Verlag; 1999. 9 Girke M. Innere Medizin. 2. Aufl. Salumed Verlag; 2012. 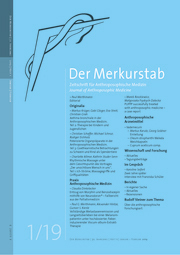 10 Steiner R. Geisteswissenschaft und Medizin. GA 312. 7. Aufl. Dornach: Rudolf Steiner Verlag; 1999. 11 Steiner R. Physiologisch-Therapeutisches auf Grundlage der Geisteswissenschaft. GA 314. 3. Aufl. Dornach: Rudolf Steiner Verlag; 1989. 12 Steiner R. Meditative Betrachtungen und Anleitungen zur Vertiefung der Heilkunst. GA 316. 5. Aufl. Dornach: Rudolf Steiner Verlag; 2008. 13 Steiner R. Anthroposophische Menschenerkenntnis und Medizin. GA 319. 2. Aufl. Dornach: Rudolf Steiner Verlag; 1982.